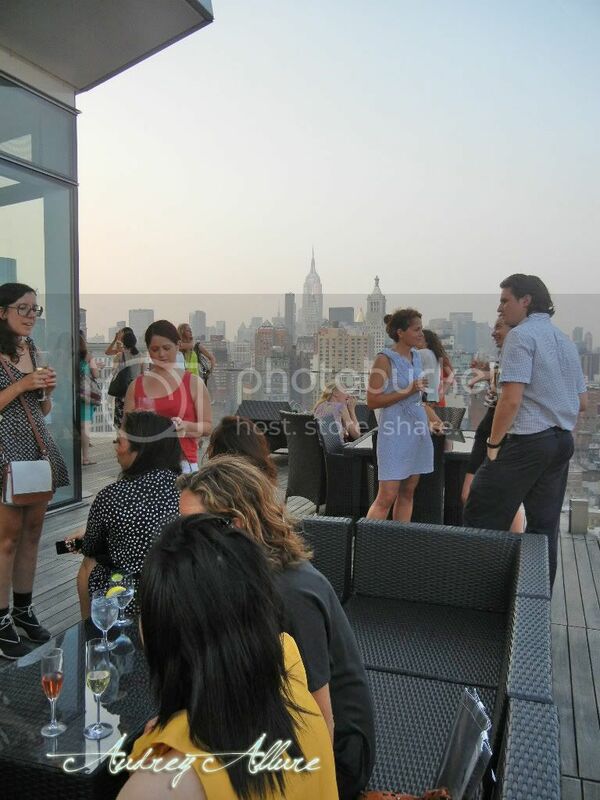 Last night, I attended Lucky Magazine and Express's preview cocktail party at the penthouse rooftop of the Cooper Square hotel. 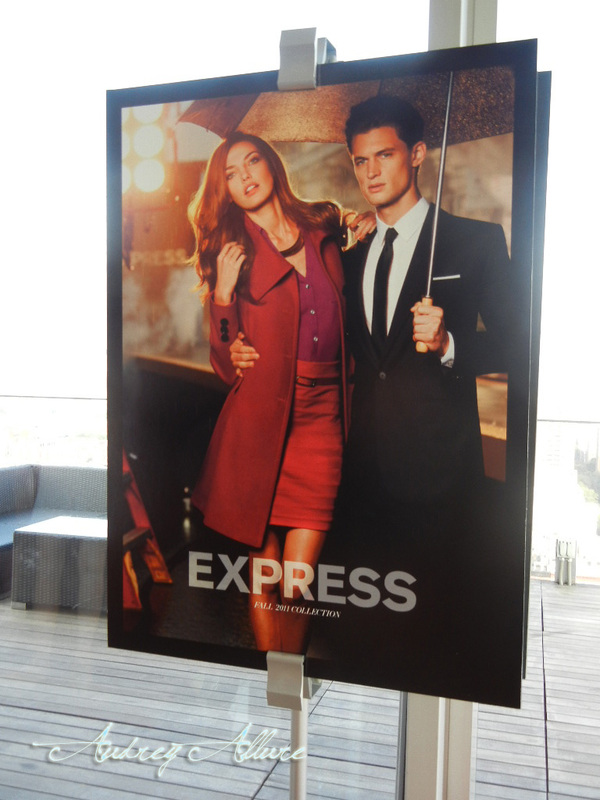 The occasion was for the anticipation of the Express fashion show in Times Square this Saturday. They are looking forward to breaking a record of sending the most models down the runway -- it's from 9am to 5pm in NYC if you're interested in attending; it's free for the public. 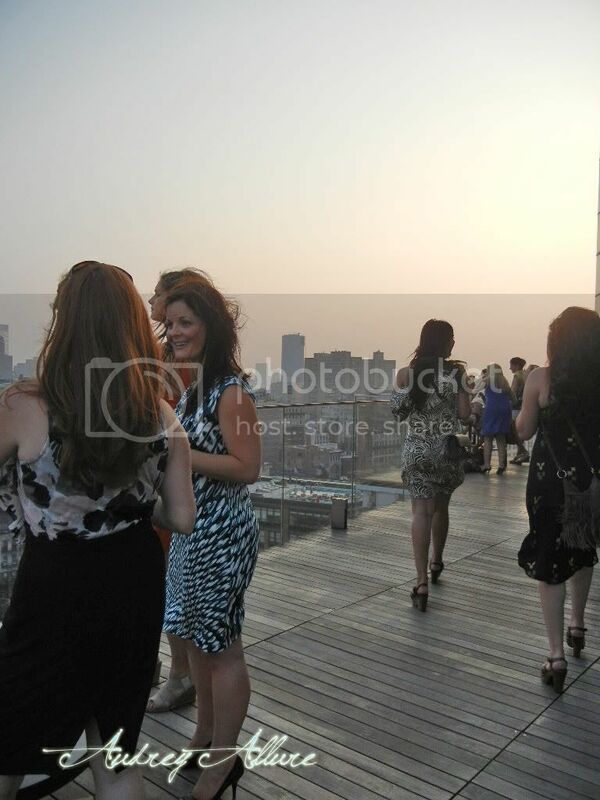 Anyway, at the event, guests enjoyed wine and amazing h'ordeuvres while socializing and taking in the incredible view. They were also able to dress up in Express accessories & pose for the photo guestbook (the photos haven't been added yet at this time, but I will probably share it on Facebook when they do appear). And of course, we all received a cute little gift bag including an Express beaded bracelet, an Express v-neck t-shirt, Express coupon, Lucky Magazine, and a fast pass for the Express Rock the Sidewalk fashion show this Saturday. seems fun and I want a gift bag. whoa! it must be awesome to be over there. i wish i were you right now. This sounds like such a fun event -- and you look gorgeous! Wha wha what a view! And you look so stylish in beige! That looks like quite a do. And cute goodie bag. Love the beaded bracelet. What a great cocktail event! The view looks spectacular and the swag even better! What a fun and fabulous event, darling! No way! You are such a rock star! How fun! What a neat event. I love your photos! You're so lucky (no pun intended) to be able to attend this event. 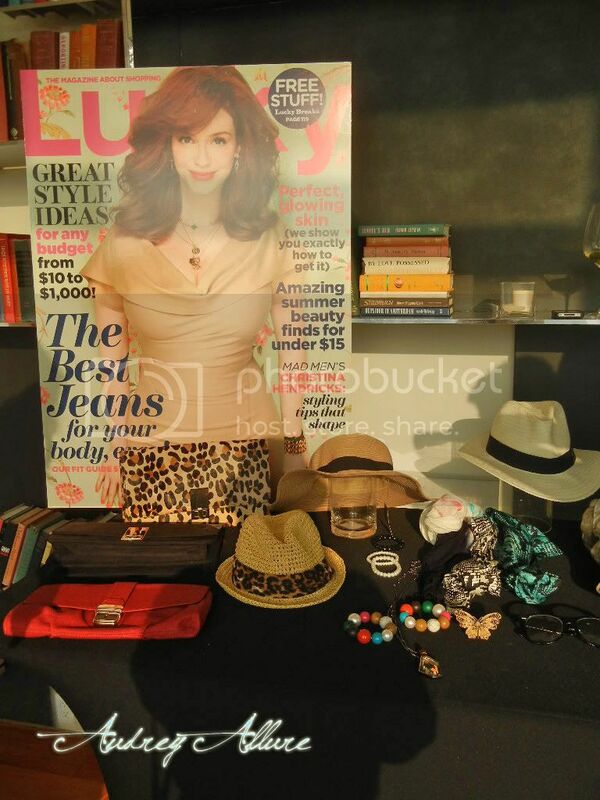 The little table of fedoras and accessories are super cute. Hope you had a blast! Fun! 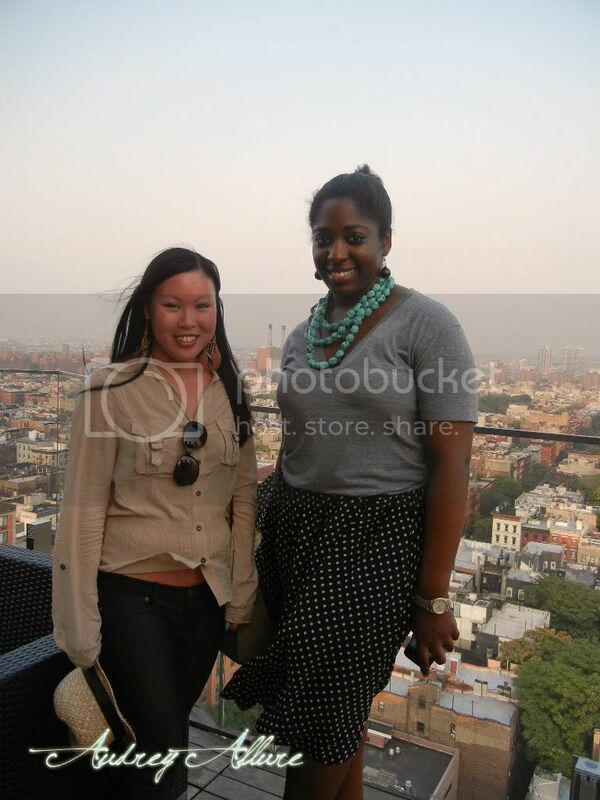 There's nothing like being on a rooftop in nyc. Hope you have a wonderful weekend! I'm so obsessed with the express v-neck shirts. I love your outfit. So cute with the hat. 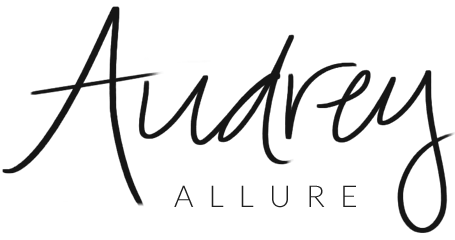 Just discovered your blog and it's lovely! happy to find another NYC blogger. Hope you are staying cool in the hit. 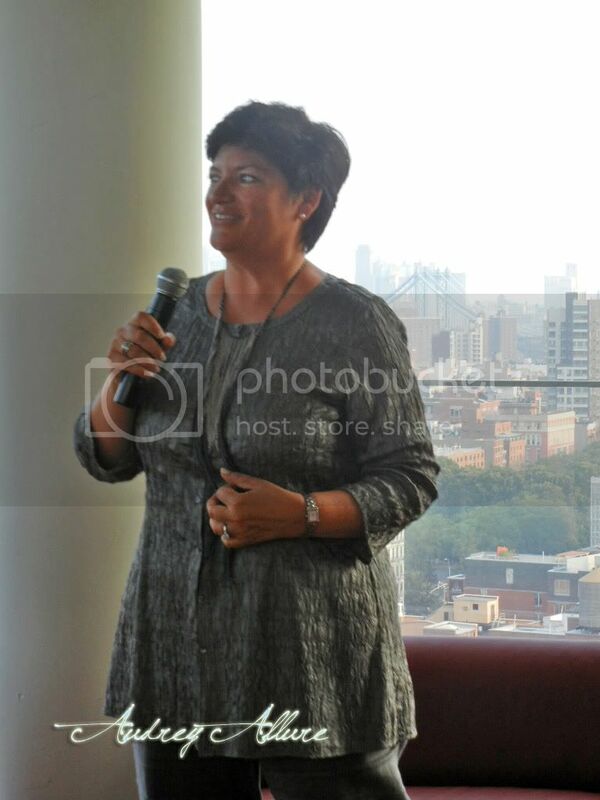 oh what a fun event and the amazing view! Looks like it was fun. And wow, what a view! That looks like fun--especially since they gave you some goodies to take home :) And I love that blouse you're wearing! looks like a great shindig. roof top and all. you're always a part of these wonderful events! super jealous. it looks like so much fun! Fabulous event!! and fantastic look! Looks like a great event! What a great view from the roof!! Cute pictures! That sounds like a fun event, too, and it looks like you got pretty good swag. what an awesome event Audrey...looks like really fun!!!! you look so great my dear!!!! Aw. Other comments have taken the "You're so Lucky" pun! Haha. But pretend I came up with it first ;). Because it's very true! Looks like an incredible time! This looks like such a fun event to go to! Your outfit and the looks of the other bloggers are spot on - and what fun gift bags! 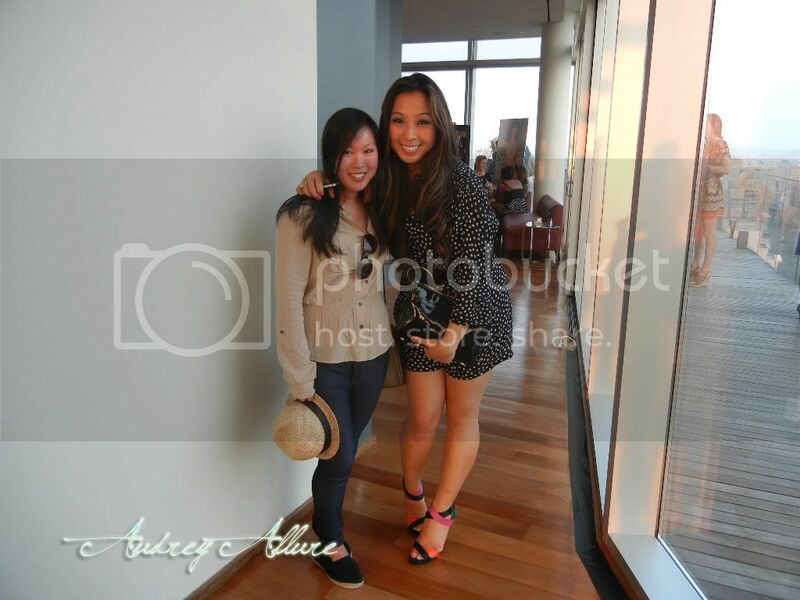 :) You go to the best events, girl! Oh so jealous! This looks like so much fun!! Ahhhhh!!!! Day job has been working me 12 hour days for the last 2 weeks...had no idea this was going on. Super sadface. I can't believe the show ran that long?!?! So fun, and you look fabulous! how fun! you look great. Oh nice! Love Donna- she's fabulous :) Are you going to the Lucky FABB conference in September?